An investigation of former French President Nicolas Sarkozy for alleged corruption and influence-peddling has been suspended, AFP reported on Wednesday. 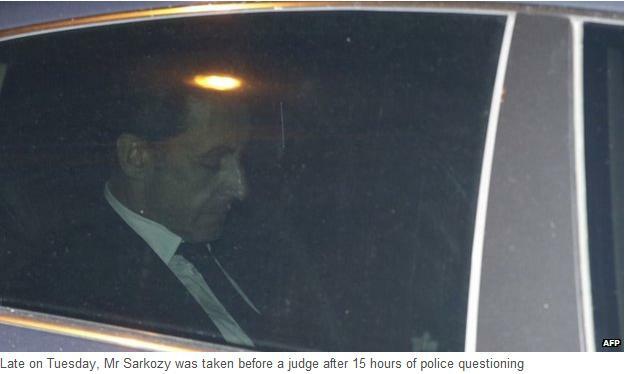 The investigation was dropped just days after Sarkozy announced that he was returning to politics. “The Paris appeals court decided Tuesday to drop the probe and does not have to give a reason,” the news agency quotes a source close to the inquiry as saying. On Friday, September 19 Nicolas Sarkozy announced that he plans to run for the country’s top position again…………..
«After deep reflection, I have decided to offer the French a new political choice … I am a candidate for the presidency from my political family [the UMP party],» Sarkozy said in a statement on his Facebook account, referring to France’s 2017 presidential elections. Sarkozy had earlier claimed that it was his desire to leave politics and “find a different way to serve his country”. The 59-year-old politician, however, is facing several other judicial investigations: the suspected financing of his 2007 election campaign by former Libyan leader Muammar Gaddafi and another into illegal campaign funding in 2012.